Cy-Metal.com: MORTE SISTEMA: Special guests on their debut album! 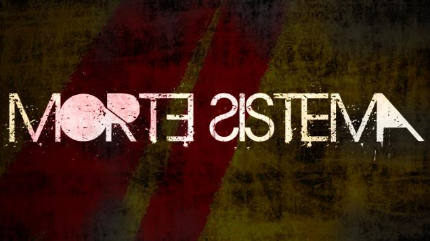 MORTE SISTEMA: Special guests on their debut album! Morte Sistema, announced the first, of the three special guests, that will be playing on the their upcoming CD/LP entitled "Embodiment" in 2013! David Cotterill, the guitarist of the legendary band DEMON! We are glad & proud to announce the first, of three special guests, that will be playing on the upcoming Morte Sistema CD/LP, entitled "Embodiment" (2013). He is among the top players we have seen live that made his Les Paul actually scream without even a single effect pedal!! We remember him filling the whole room with his unique melodies and solo improvisations!! He made people bow to his virtuosity, not only because he looks a lot like Gary Moore hehehehe... but because he was a pure dynamite on stage! Ladies and gents, the one and only: David Cotterill (guitarist of legendary DEMON), will be featured on our track "Deus X Machine" with a unique guitar solo, harder than never before!! David accepted this "challenge" without a second thought and we know he will prepare something really special this time around!! Thank you brother!